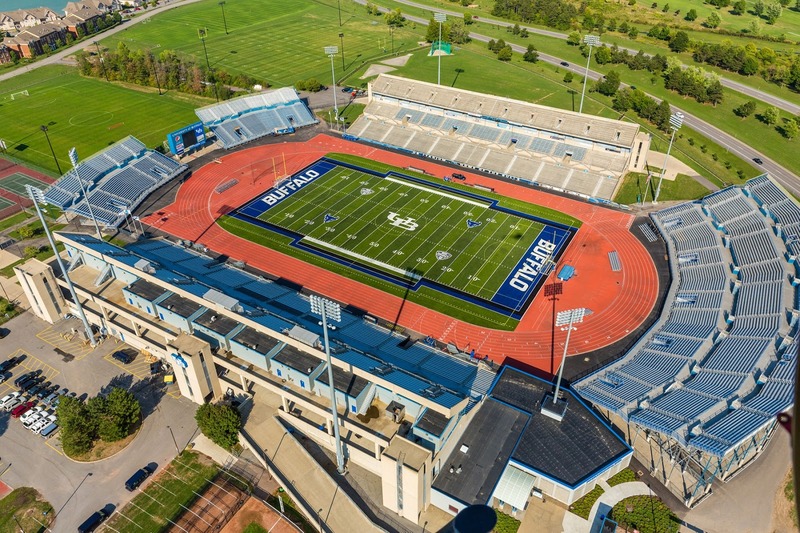 BUFFALO, N.Y. -- The University at Buffalo track and field team will host the UB Invite on Saturday at UB Stadium. Buffalo will host 13 teams, including six collegiate programs and seven track clubs. The Bulls will go up against Canisius, St. Bonaventure, Niagara, Daemen and Roberts Wesleyan as well as the Toronto University Track Club, York University Track Club, Speed River Track Club, The Gazelles Track Club, Terminal Velocity Track Club, Club SISU Throws and Project Athletics Track Club. The meet is scheduled to begin at 11 am. Click here for the entire schedule. Leone Timing will be used for timing and results. Click here to follow the live results. The Bulls will use this meet to continue to prepare for the Mid-American Conference Championships that will also be held at UB Stadium May 10-12. Click here for more information on the MAC Championships.